The Antimonopoly Committee of Ukraine (AMC) has issued binding recommendations for the 13 largest retail chains to reduce retail food prices to the levels they were before the period of high demand in Ukraine in February. According to the results of its inspection of retail chains in major cities of Ukraine, the committee concluded that in some cases retailers have been overpricing certain groups of products. 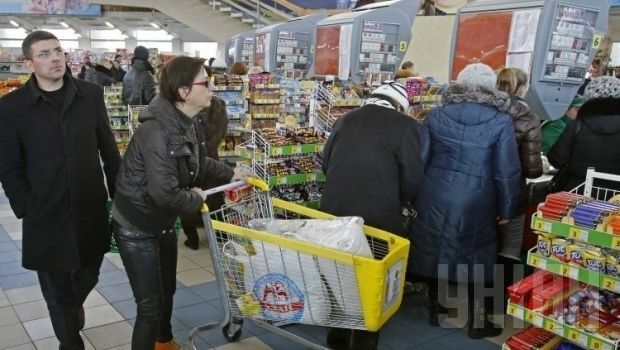 The AMC said that in view of the rapid growth in demand and simultaneous increase in prices of food products (flour, sugar, buckwheat, sunflower oil, pasta, oats and salt) in the period from February 21-28, 2015, the committee began investigations into the major retail chains in Kyiv, Lviv, Dnipropetrovsk, Odesa and Kharkiv, as well as their suppliers and food producers. In particular, according to the AMC, with an increase in the procurement price for buckwheat of 16%, the retail price in the networks increased by 39%, with an increase in procurement prices of wheat flour of 58%, retail prices for the product have gone up by 70%, while with an almost unchanged procurement price for salt during February 2015, retail prices for this product have risen by 13%. "That means that the average margin between the procurement and retail prices for certain food items during the period of high demand of the population has grown by more than 50%," the AMC said. According to the findings of the AMC, given the significant impact of retail chains on price setting, it is their pricing policy that has led to a further increase in prices across Ukraine. At the same time, the AMC said it believes that currently it is reasonable to reduce the retail prices for basic food commodities to the level that existed before the period of high demand. This is particularly the case in view of the tendency towards the stabilization of the official hryvnia exchange rate, as well as reduction in wholesale prices for food, fuel and lubricants, the AMC said. It also reported that the retail chains have to report to the committee on the results of their implementation of the recommendations within ten days after their receipt. As UNIAN reported earlier, in 2012, the AMC accused the largest retail chains in Ukraine of cartel arrangements and setting unreasonably high prices for food. The reason for the investigation was the use by retail chains of similar mechanisms that could have led to economically unjustified increases in food prices. Such violations entail maximum penalties of up to 10% of company income, which in absolute terms would amount to about $20 billion. However, in November 2014, acting AMC chairman Mykolai Barash said that the committee had decided not to impose penalties on retailers, but was planning the introduction of changes in the retail market operations. However, a final decision on this issue has still not been announced.